Working together with MPC i created a batch of concepts for the fx of this advert. The challenge in this job was to convey several layers of depth during transformation. They wanted to achieve a sense of "polygon" transformation. So we could end up with a digital "Messi". We didn't want it too look too gross either. 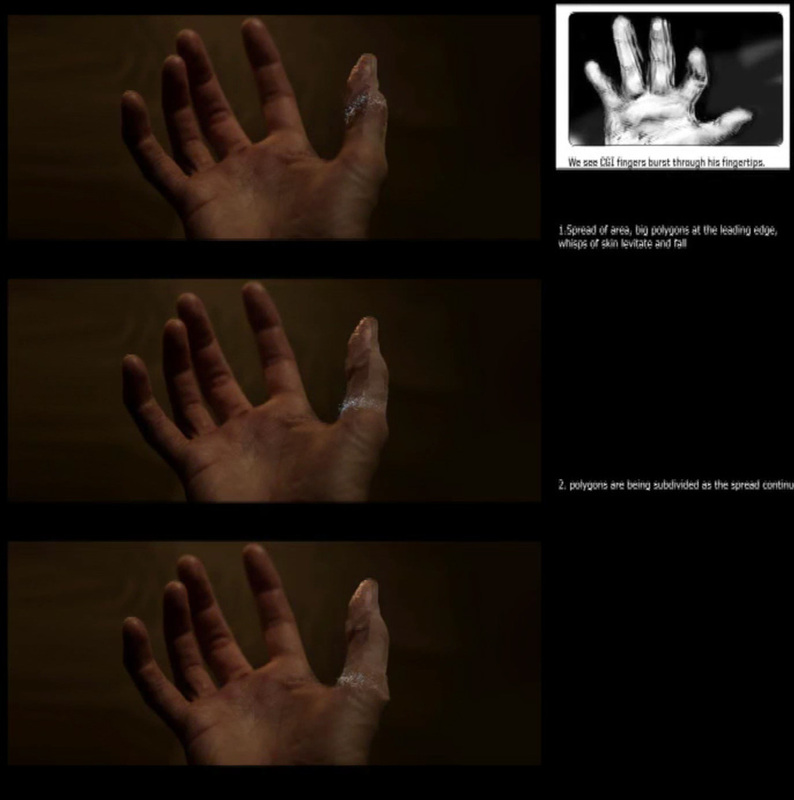 So i took a bunch of stills of my hand that represented enough area from fingertip to elbow. In these we wanted to show the "digital-ness". Some were quite experimental and i needed to find a good balance where it didn't feel too cheap. In this stage, some of the transfer and skin breaking up and flowing away from the hand. Growth progress and expansion of the digitizing event.